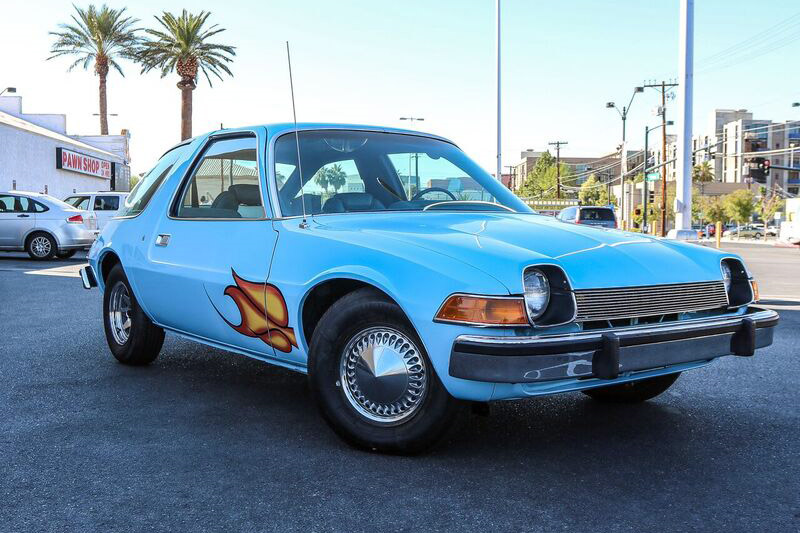 If you’ve ever sung your heart out to Queen’s “Bohemian Rhapsody” but felt like something was missing, you’re in luck: the baby blue 1976 AMC Pacer driven by Garth in Wayne’s World is now for sale (licorice dispenser not included). Barrett-Jackson of Las Vegas will be auctioning off the the car made famous by its star turn in the 1992 movie starring Mike Myers and Dana Carvey, and says the vehicle has been meticulously restored to movie quality with a new paint job and redone interior. All props inside the car are original, however. But as Bloomberg notes, when it comes to that bubble shape and drivability, it’s still a Pacer — it’s a heavier, slower car that’s less efficient than drivers today might want. “It’s been prettied up and erased. I would think the car would be worth more if it was exactly as it was in the movie,” Comer explains. As for the price, the auction company’s chief executive officer says “we’ll have to wait and see,” as it’s selling at no reserve.